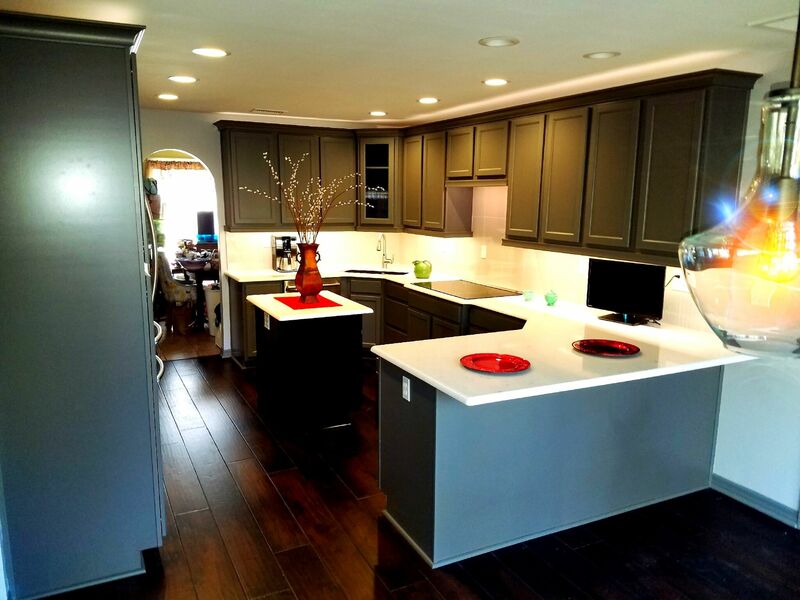 Working with Bentz Remodeling was the best decisions we have ever made when it came to our remodel. They were quick, transparent about costs and progress of the job, and the quality of work was second to none. I will definitely use Bentz Remodeling for any future work. Scott did exactly what he said he would do, and he was on time and professional. I felt confident in Scott's expertise and highly recommend them for your home remodels. We chose Scott to complete our master bathroom remodel, and we were not disappointed. Scott was easy to work with and delivered a high quality bathroom in a timely manner. I would highly recommend using Scott for any future projects. Donna F.Scott and his team did a fabulous job. From our first meeting with Scott Bentz we felt that he was the right contractor for our needs. He listened to what we wanted in a new bath and what we did not like about our old bath. He quickly put together a team to achieve our goals. Within days we had drawings, prices and were moving forward. When unexpected issues came up during the process Scott knew just who to call and it was quickly resolved. The process of remodeling is never easy but Scott and his team did a fabulous job. Each day the work area was left clean and ready for the next step. They were all very pleasant to have in our home. We have a BEAUTIFUL new bath that is exactly what we wanted. I would not hesitate to recommend Scott Bentz of Bentz Construction. Excellent job many thanks. Thank you so much for your integrity and professionalism. Scott, you are a real PRO. I recommend Scott to anyone looking to have their home remodeled. He is courteous, punctual, and his pricing is fair. David JohnsonThey did a terrific job! My wife worked with Scott Bentz and his team, they did a terrific job. Great price, called daily with updates and we were able to reach him after hours when necessary. His team was professional, explained everything they did. Great experience on our first ever renovation project, would definitely use them again and recommend to friends. Both bathrooms needed update, new paint, bath and faucet fixtures, mirrors, and lighting. Kitchen needed wallpaper removal, new paint, and backsplash. New baseboards in bathrooms and kitchen. Mr. and Mrs. WiseA kitchen upgrade for someone who loves to cook..
We replaced all of the appliances, fixtures and sink with modern upgrades for ease of use. Cashmere Carrara Quadz was used for the counter replacement and accented with Silkline Porcelain backsplash tile. We extended the peninsula bar, made it wider, and added a Sharp Microwave Drawer below. The refrigerator was relocated between the new Bosch Double Ovens and the floor to ceiling pantry cabinets. The cooktop and vent were replaced with Basch s Induction Cooktop and pop-up downdraft vent. We installed a Blanco Silgrana Anthracite single bowl sink with a Moen hands free motion sensor faucet. For lighting new pendant lights were added to the breakfast nook, the florescent ceiling lights were replaced with recessed LED's. Under and over cabinet LED ribbon lights were added for effect and to enhance the work stations. Our team is responsible for not only providing exceptional advice and products but an experience you will be happy to share. Call now or send us a message for your free contractor consultation. Proudly serving Tallahassee and the surrounding counties. Copyright © 2019 Bentz Remodeling. All Rights Reserved.